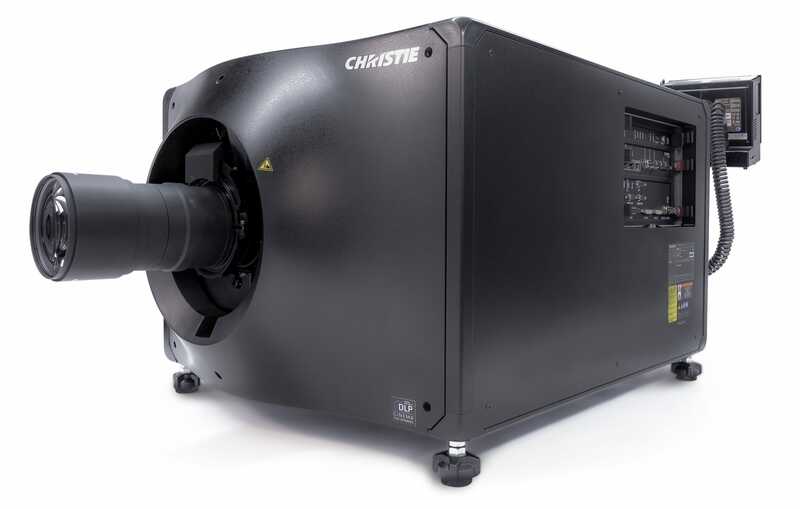 Christie previews first direct-coupled laser projector featuring an all-in- one enclosure at CineEurope. Wokingham, UK (June 16, 2017) – The first direct coupled Pure RGB laser-illuminated cinema projector not to need external cooling systems will be previewed at CineEurope in Barcelona next week. Christie’s NEW CP4325-RGB; an addition to Christie’s Freedom Series of Pure RGB laser cinema projectors, previously the domain of the premium large format experience is set to break into mainstream cinema exhibition and can be seen for the first time in Europe, at CineEurope from 19th to 22nd June. Brian Claypool, VP, Product Management Global Cinema explains the significance; “Everyone, understandably, wants to enjoy the benefit of RGB laser illumination, with its greatly increased brightness thresholds, enhanced contrast, the chance to explore wider colour gamut and the elimination of consumables with the goal of reducing cost of ownership. Manufacturers have alternated between direct-coupled and fibre-coupled designs to date, but all feature external or remote cooling systems. These economics may be acceptable for premium large format screens, but most mainstream exhibitors are looking for a straight swap from lamp to laser when investing in their next generation cinema projector. The CP4325 is a compact projector and the first all-in-one Pure RGB laser system on the market that significantly improves image quality while preserving cost. The Christie CP4325, while still shown as a product preview at CineEurope, is developing quickly. Like Christie’s fibre-coupled projector, the CP4325’s direct-coupled all-in-one enclosure system will offer 30,000 hours of operation to 80% brightness, provide contrast rations exceeding 5000:1 and provide more uniformity and wider colour gamut than other laser derived systems. Christie’s new direct coupled laser projection system will be available at both 2K and 4K resolutions. Models will also feature Christie’s new Cine Life series 3 electronics and embedded cinema automation for streamlined playback, scheduling and content management. Christie Digital Systems USA, Inc. is a global audio and visual technologies company and is a wholly-owned subsidiary of Ushio, Inc., Japan, (JP:6925). Consistently setting the standards by being the first to market some of the world’s most advanced audio solutions, projectors and complete system displays, Christie is recognized as one of the most innovative visual technology companies in the world. From retail displays to Hollywood, mission critical command centres to classrooms and training simulators, Christie display solutions and projectors capture the attention of audiences around the world with dynamic and stunning images. Visit http://www.christiedigital.com/emea.